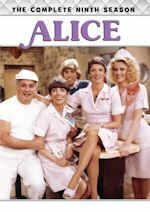 TV Guide Network has added another sitcom and also two dramas! As of yesterday, they quietly added Caroline in the City to the schedule. The sitcom has not been on cable since it aired on Lifetime and Lifetime Real Women on and off from about 2003-06. The Lea Thompson 1995-99 sitcom is airing on TV Guide Network weekdays from 4-5pm and encores 7-8pm. 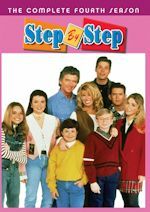 Also joining the TV Guide Network are family dramas Early Edition and The Guardian, with Early Edition airing weekdays at 11am with an encore at 1am and The Guardian weekdays at 12 noon with an encore at 12am. So with these three new additions, will everything else remain on the schedule? No, two series will be removed from the line-up. TV Guide will not be airing Veronica's Closet and Cybill anymore, but everything else remains on the schedule and with some new timings: Designing Women (weekdays from 10-11am and 5-6pm), Ugly Betty (weekdays at 1pm and 2pm), Samantha Who? (weekdays at 3pm), Ned and Stacey (weekdays at 3:30pm), Dharma & Greg (weekdays from 6-7pm), Curb Your Enthusiasm (weekdays at 4am), and Weeds (weekdays at 5am). Movies air in primetime from 8pm-12am. Stay with us for any further updates and if Cybill and Veronica's Closet pop up again on TV Guide we will definitely let you know! For now enjoy the new additions of Caroline in the City, Early Edition, and The Guardian! Bounce TV, the nation's first-ever over-the-air broadcast television network for African-Americans, will launch its first-ever original series Family Time - a half hour situation comedy created by Bentley Kyle Evans (The Jamie Foxx Show, Martin, Love That Girl) and produced by Evans and partner Trenten Gumbs - this summer. Family Time will be seen on Bounce TV Monday nights at 8:00 p.m. with the series premiere set for Monday, June 18, 2012. Family Time centers around the life and times of The Stallworths, a working class African American family who scratches off a lottery ticket and jumps to middle class overnight. They're an authentic picture of an African American family working to live the dream. 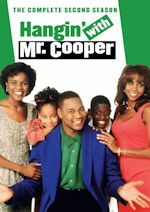 This family-next-door consists of two loving parents: Anthony (Omar Gooding, Hangin' with Mr. Cooper) and Lisa (Angell Conwell, Dave's World) Stallworth and their children Ebony (Jayla Calhoun) and Devin (Bentley Kyle Evans, Jr.) The Stallworths move to a middle class community in sunny southern California and both Anthony and Lisa bring baggage and other family members into their relationship that makes for great comedy - and occasional drama. 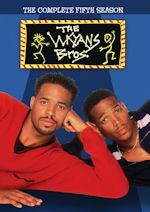 Now Bounce TV currently does not air any sitcoms on the schedule, so it will be interesting if they acquire any reruns of older comedies to air alongside this original sitcom. Currently Bounce TV only airs movies, Soul Train and Judge Hatchett daily and Fat Albert on Tuesday nights. We will have much more to come on this show and the potential of sitcoms joining Bounce TV! Hoping for some What's Happening! !, Diff'rent Strokes, Benson and Gimme a Break! Anyway, watch a preview of Family Time.